Labrador Retrievers: 5 Things You Didn't Know! Labrador Retrievers are more than just unbelievably cute and lovable! They are also famous for their athletic ability, loyalty towards their owners, and their relaxed, friendly personalities. Furthermore, they’re considered one of the more receptive and easier breeds to train. (Not that they won’t have problems with house training as puppies still.) But despite their popularity many people don’t know much about them. So, let’s change that! 1. Where did the Labradors originate? One of the most asked questions is, where did Labrador Retrievers originate? Are they from Labrador? Unlike many other breeds of dogs which get their name from their place of origin, these dogs are not named for where they hail from. Labrador Retrievers originated during the late 1700s on the Island of Newfoundland, which is south of Labrador in Canada. At that time, these dogs were called St. John’s dogs. It was the Earl of Malmesbury who bought these dogs around 1830 and named them Labrador. It was during the early 1800s when the first black Labrador was born in the house of Earl of Malmesbury. He took good care of the dogs until he died in 1841. At that time, all Labrador Retrievers had a black coat until the first liver-colored Labrador was born in 1892 at Buccleuch Kennel. Later, a yellow Labrador was born in 1899. The owner of this yellow Labrador named the dog Ben of Hyde. Most of the yellow Labradors which you see today are the descendants of the same Ben of Hyde born in 1899. 3. Why are they called Retrievers? The Labrador’s coat is highly water-repellent and retains heat when the dog is swimming, keeping them warm for some time even in cool waters. This quality made the Labradors valuable to fishermen who used them to catch or retrieve fish in cold waters, often from the Labrador Sea. Look at how quickly these Labrador puppies take to the water (skip to about the 2:00 minute mark). It’s in their breeding! 4. They’re so gentle they can carry eggs! Another interesting fact about Labrador Retrievers is that they can carry eggs in their mouth without breaking them. Yes, this is true. It is not that their teeth are soft, but Labradors have been bred to hold objects without breaking them. Labrador Retriever puppies have 28 teeth while adults have 42, but both young and old are capable of holding objects gently in their mouths without causing them harm. Like other breeds, Labrador Retrievers face common health problems. Given their playful and eager to please nature, one you should be aware of is a condition known as EIC, or exercise-induced collapse. While proper exercise is vital for keeping them fit and healthy, you should be sure to give them frequent breaks to cool off, get some water, and of course, some pets and cuddles! And though they are one of the easier breeds to train, you will have problems if you are not following the proper methods. Unchecked, this could lead to nightmare scenarios where they refuse to come at the park or drag you around like a doll on walks. 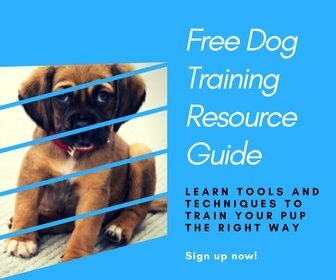 An excellent video series by Doggy Dan covers these exact subjects and hundreds more using easy to understand demonstrations. He’ll take you through the very beginning puppy stages, all through problems with older dogs. You can start watching now for free by visiting his page. P.S. Share the cuteness of Labs swimming with a friend by pinning!